The Vegetation Management Research Cooperative (VMRC) was created August 31, 1993 out of the reorganization of a previous vegetation management cooperative (CRAFTS). Dr. Robin Rose was appointed to lead the VMRC in addition to his duties directing the Nursery Technology Cooperative. The VMRC began with 12 highly committed and dedicated members. With the creation of the VMRC was the creation of a revised prospectus to carry out vegetation management that is consistent with the needs of its cooperators. New Reforestation regulations were enacted from British Columbia to Northern California. These regulations generally have in common an emphasis on restricting the use of traditional modes of vegetation management, primarily greater restrictions on the use herbicides and burning. The VMRC is well placed to carry out research that can aid in reducing the overall use of herbicides in a manner consistent with the law, while still promoting increases in forest regeneration success. The VMRC has made great strides in initiating research and publishing findings in the last 20 years. As of December 2013, the VMRC has published 15 peer-reviewed journal articles, 6 conference proceedings, 2 PhD dissertations, and 7 Masters theses. In addition, VMRC staff regularly present research results at regional and international conferences. 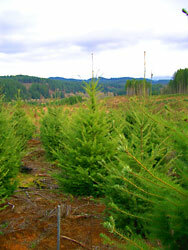 The Cooperative is located in the Forest Engineering, Resources and Management Department at Oregon State University. The membership is comprised of private, state, and federal organizations. The dues are $8,800 and $4,400 per year, depending on cooperators' holdings. The research priorities for the Cooperative are determined by the membership with guidance from the Director. One annual report and several newsletters are published and distributed to the cooperators each year. In addition, at least two meetings are held each year. The members have access to all of the research results generated by the Cooperative. Most research projects are carried out in cooperation with specific members on their land holdings. The VMRC policy committee met on January 4th of 1996 to discuss the direction that the Co-op would take for the next 5 years. Through a long group discusion period the following Mission Statement and Goals were developed to guide VMRC research. Conduct applied reforestation research of young plantations from seedling establishment through crown closure with an emphasis on operational vegetation management. Promote reforestation success such that survival, wood-crop biomass and growth are maximized while protecting public resources. Develop vegetation management systems that increase seedling success while enhancing and/or maintaining forest resources. Develop threshold levels for various competitor species on crop-tree growth. Develop and evaluate techniques, such as tillage, stock (size and quality), planting technique, and nutrition as they interact with vegetation management to enhance reforestation success. Facilitate information exchange and technical transfer among participating organizations and other related groups.